“If you give people tools, and they use their natural ability and their curiosity, they will develop things in ways that will surprise you very much beyond what you might have expected." As a corporate leader, you should both demonstrate leadership attributes and deliver balanced results to your customers, investors, employees, and organization. 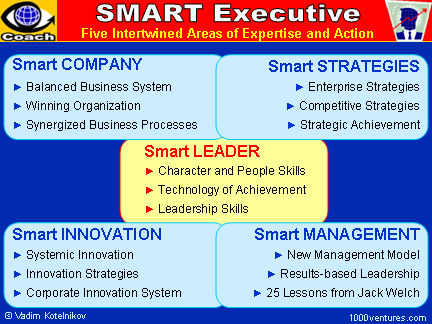 In addition to general leadership attributes and people skills, corporate leader leader should be a great systems thinker, strategic thinker and strategic leader. 745 powerful Ten3 slides ► Click here!